Bull City Press, 9781495178771, 37pp. Poetry. Middle Eastern Studies. Women's Studies. 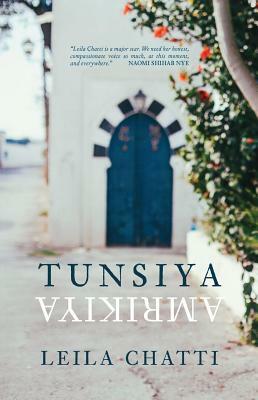 In TUNSIYA/AMRIKIYA, emerging Tunisian-American poet Leila Chatti explores the nuances of multicultural identity, the necessity of family, and the perennial search for belonging. From vantage points on both sides of the Atlantic, Chatti investigates the perpetual exile that comes from always being separated from some essential part of oneself.